Nowadays this is impossible to image a kitchen without a sunflower oil. But who was the first in receiving this amber product, who start cultivating a sunflower? A centuries story of the oil begins with a flower with yellow petals – Helianthus, the sun in Greek. North America is a motherland of sunflower. The history says that aborigines had used the seeds oil as treatment and colorant more than 5 thousand years ago. The sunflower was considered as sacramental and people were worshipping the plant. At that period the sunflower wasn’t cultivated and got in Europe as wild herb. It was brought by Spanish mariners in 1510. It were they who started cultivating sunflower, it leaded to increasing in grain size and fattiness. But the plant couldn’t gain popularity, the Spanish preferred olives. The yellow flower was used as decorative and was planted in gardenplots and flower- beds. Almost two ages nobody even thought to use it other way. At 1716 sunflower appeared in England. Great contributions in improving of sunflower production were made by Englishmen. They patented an technology and set up first manufacturing. They started sunflower industry. In Russia sunflower appeared while Peter the Great was reigning. But Russian history of oil starts only in 1829 when bond Bokarew D.C. enters mass production. He discovered that seed contained a lot of oily matter and he became the first who began pressing of useful product, which we happy to use every day. It was 1833 when in the Alekseevka village the first oil mill was created. The oil has an uncountable number of useful qualities, minerals, vitamins. The Orthodox Church acknowledged this unique product as lent-diet, what meant very useful, and begun to promote this product for society. The huge territories were cultivated with sunflower. Just 100 years ago this priceless flower returned to North America – its historical homeland, where aboriginal traditions were forgotten. The flower came back as amber aromatic oil. Nowadays, more than 10 million tons of sunflower oil are produced in the world. 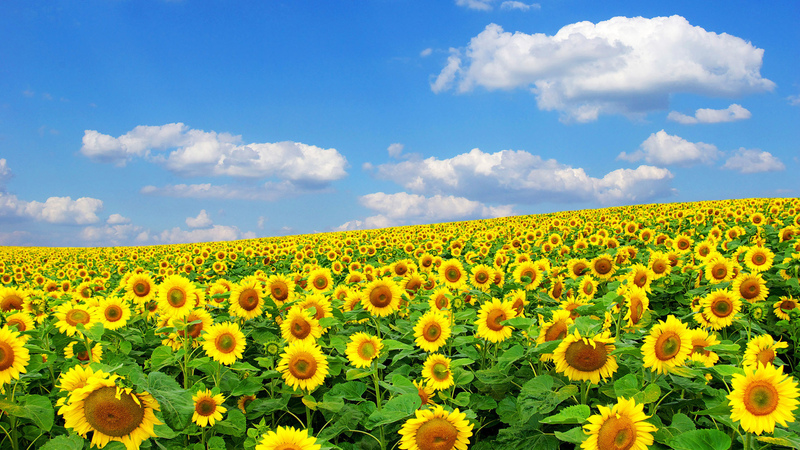 Ukraine produces 60% of the world sunflower oil. Kaissa Oil is the largest agro-industrial factory, reliable trader of sunflower oil and products of sunflower recycling in Ukraine, and an exporter of quality production to other European countries.